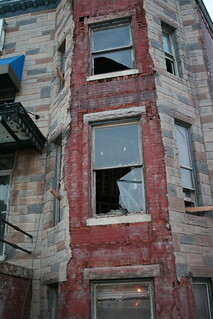 Formstone, that faux-stone façade that became popular in the 1930s and ’40s, can be removed, but it’s not easy. 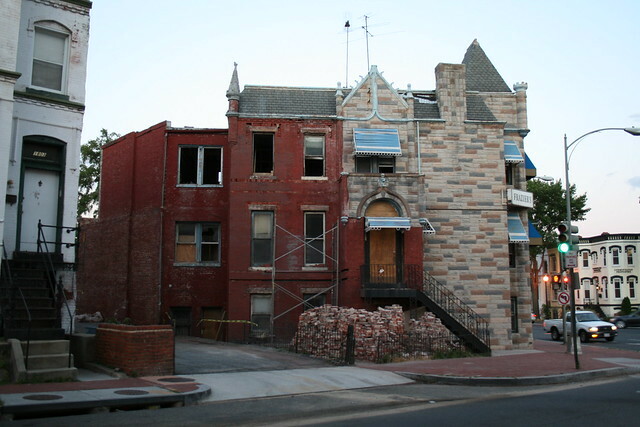 The old Frazier’s Funeral Home, at 389 Rhode Island Avenue, has been vacant for several years since the District shut it down. The new owner is renovating the property to convert into 4 or 5 residential units. 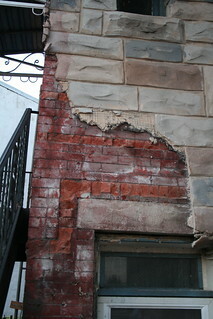 Part of the renovation involves removing the Formstone façade and repairing the brick beneath. Looks like a pain, but gawd is that stuff awful. I will be happy to see some nice brick work on that corner. I agree the stuff is awful, but I’d love to get my hands on that plaque. I always wondered what that fugly stone look was called. Thanks for the research and it’s good to know it can be removed! 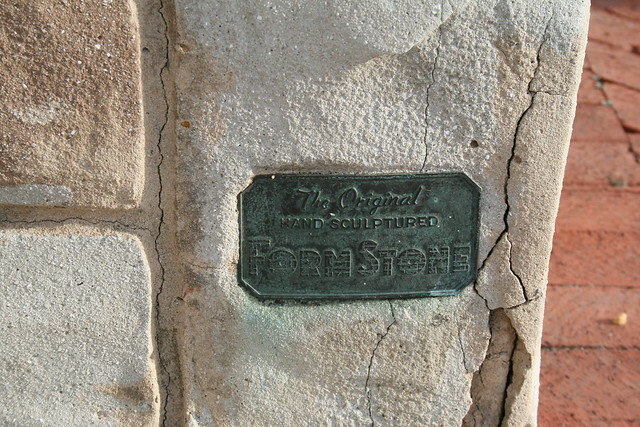 It’s important to remember that Formstone was usually installed to deal with brick problems, because poor quality bricks were used and water was getting into the building through those bricks. You can take it off, but then you probably have to deal with the underlying issues that led people to cover their house with Formstone.